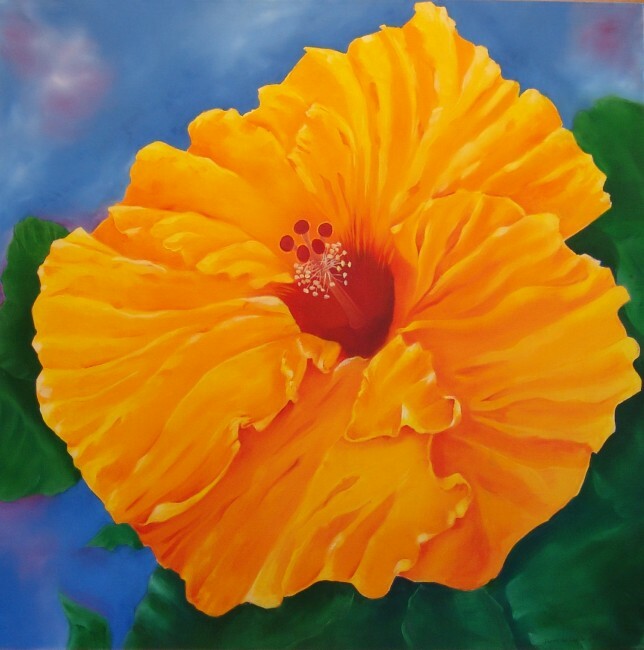 In my years in Bahrain, I had been doing larger than life flowers in oil, measuring from 16” x 20” to 2’ x 3’. Concentration on using the contrasting colors of nature has led to color explosions in many of my works. The subjects may be flowers but it is not necessarily the actual flowers which interest me most. Because these delicate beauties have so many layers, so many undulations, so much light and shadow, I find myself getting lost in the numerous surfaces of each petal. They allow me to explore shade, shadow and light.